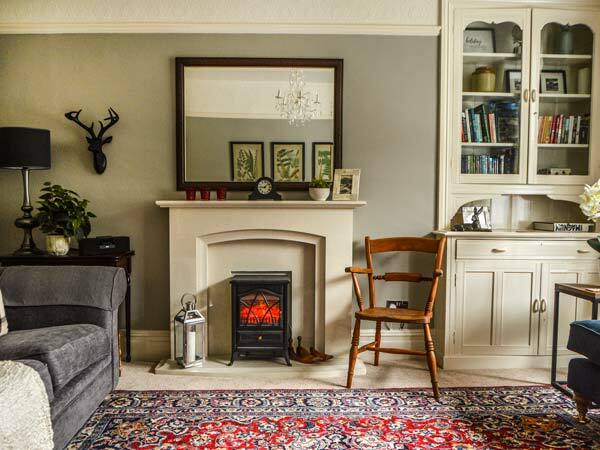 Mountain Escape is an apartment set over the first and second floors in the centre of Coniston in the Lake District National Park. The property sleeps eight people and has three double bedrooms and a twin with an en-suite as well as a family bathroom. Also in the property are a fitted kitchen, a dining room, a sitting room and a second floor play room. Outside is a small garden accessed from the first floor kitchen. 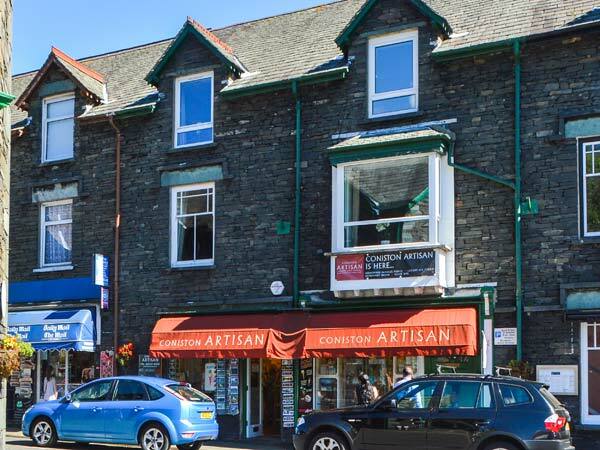 Situated in the heart of the village, Mountain Escape is an excellent base for discovering the majesty of the Lake District with all of the village amenities on the doorstep. Gas central heating with electric fire. Electric oven and hob, microwave, fridge, freezer, washer/dryer, dishwasher, TV with Freeview, DVD, DAB radio, Bluetooth speaker, WiFi. Fuel and power inc. in rent. Bed linen and towels inc. in rent. Two travel cots and highchair Roadside parking throughout village. Garden across small lane with shed for storage. Sorry, no pets and no smoking. Shop and pub 1 min walk. Note: Property is accessed by internal steps from front door and garden is accessed by external metal steps from kitchen, not suitable for less mobile. Note: Check-in time 4pm.